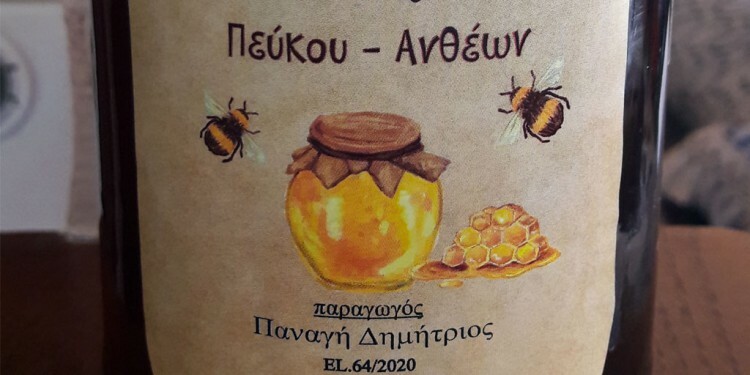 In the pine forests of Halkidiki and other places in Greece, Dimitris Panagis produced honey with excellent flavor and high nutritional value, rich in minerals, trace elements and minerals. 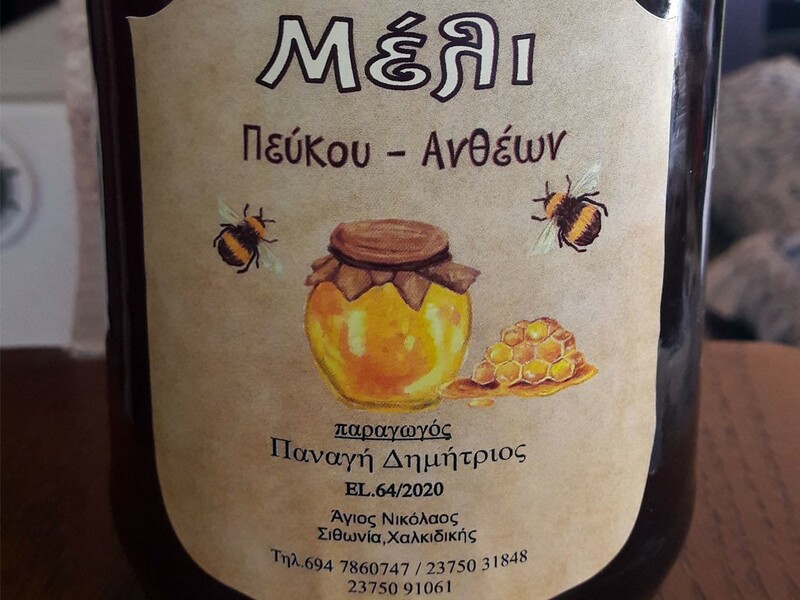 One of the qualities of honey produced in Greece with special perfume of pine forests of Halkidiki. The honey pine high nutritional value is very rich in minerals (calcium, magnesium, zinc, iron, copper, etc. ), protein and amino acids. Scientific studies show that trace elements are highly antiseptic action helps inflammations, against coughs and colds and gout ! In pine, due to the low sugar content, the phenomenon of crystallization, is rarely observed. 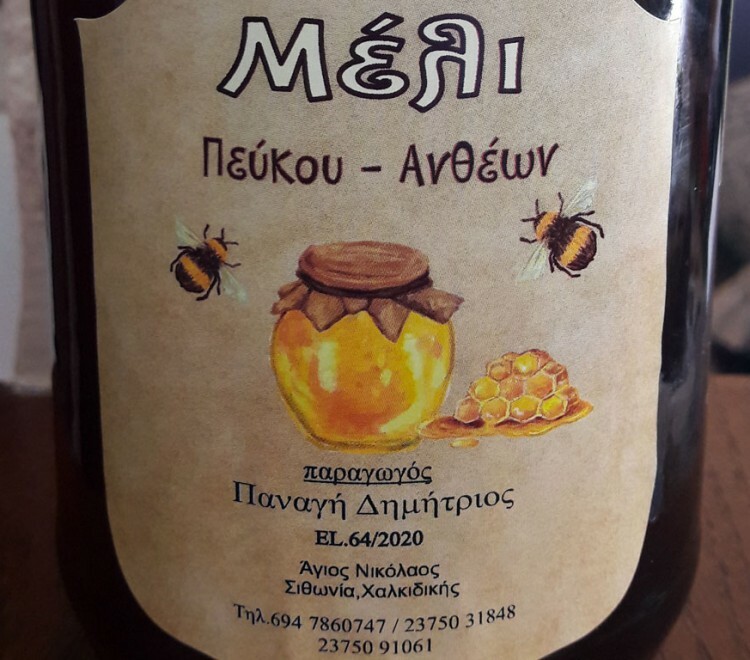 Ouzo is made in a traditional way and exclusively in Greece; it belongs to the general category of the anis that is of the alcoholic drinks with a scent of anisos (anitholi). It is a product of narcs distillation and other saccharoid raw materials, which have been scented with seeds of anisos and maybe fennel, mastic of Hios, and other aromatic seeds, plants or fruits. Ouzo, for the distillation of which they use a special distillation machine (amvikas), can not be submitted to an aging process and it is drunk straight or with some water É- the so called emulsion which is created in this case and it is related to the conciseness of ouzo antholi, its alcoholic title, to the quantity of water and to its temperature. Tsipouro on the other hand, is the clear product of the narcs distillation, which means that it is not submitted to any scenting process. The variety and the fermentation procedures of the grapes, the distillation way, the analogy of ingredients are the determinative factors during the production procedure. Tsipouro is colorless, and has a very high degree of alcohol, that is why it is often drunk with water and always with some snacks, which traditionally have the following order: light salads, sour (pickles), various dry-salted (sea rover, anchovies, e.t.c), fish, crawfishes, shrimps, rarebit, e.t.c. 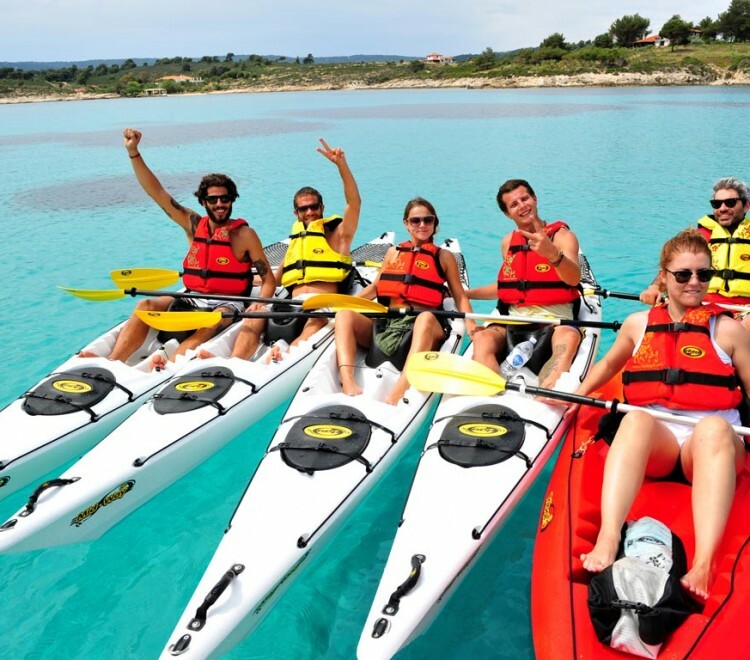 Halkidiki, thanks to its climate and to the morphology of its land, produces oil and olives, which are distinctive for their special taste and quality. The olive trees of Halkidiki are cultivated without chemical interventions. The olives of Halkidki are rich in phenological and organic characteristics (substances which are necessary for the operation of the human organization) and they are processed having as their only principle the satisfaction of the consumers.